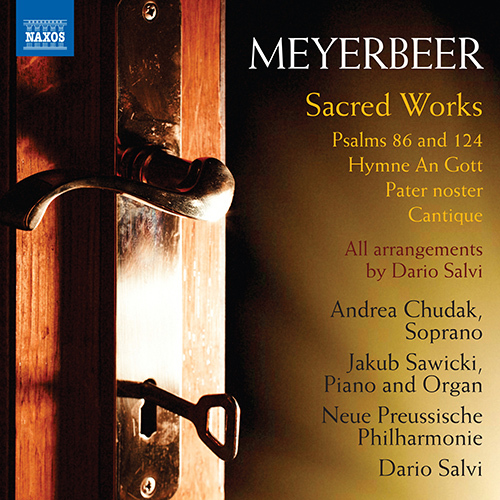 This album brings together a selection of religious compositions by Giacomo Meyerbeer, including several works presumed lost until their recent discovery. These rediscovered pieces stand out for their masterful quality and highly individual style, such as theÂ Hymne An Gott, which demonstrates Meyerbeer’s sensitivity and skill with text. Other gems include the luminousÂ Pater NosterÂ and the melancholyÂ PrÃ©lude et Cantique, which draws on the spirituality of the late Middle Ages and was of great significance to the composer.